Hi-Energy HX 300 car audio subwoofers represent the highest technological expression in terms of low frequency reproduction. Hi-Energy HX 300 car audio subwoofers represent the highest technological expression in terms of low frequency reproduction. The V-cone provides wide acoustic dispersion, making the sound even more powerful. The forced ventilation system provided by the venting holes on the bottom plate, along with a specifically designed extended centre pole piece and the materials selected for the voice coil, combine for high thermal dissipation. The ultra-light aluminium basket, with its spoke shared profile, reduces any unwanted resonance from the chassis itself. The special finishing materials and the rubber protection covering the magnetic assembly, besides decreasing resonance, add an aggressive, stylistic cosmetic look. 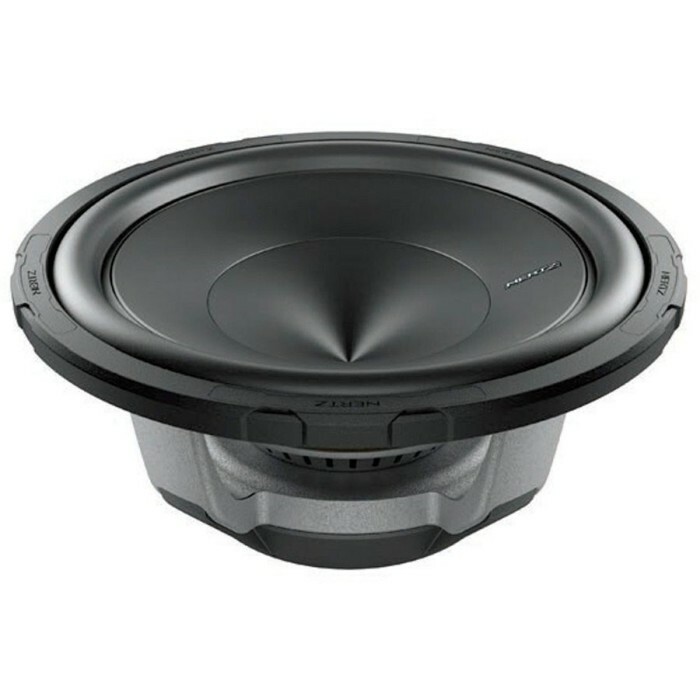 The engineered balance of the electro-acoustic parameters make the HX subwoofers suitable for sealed acoustic suspension enclosures as well as vented reflex enclosures, generating powerful, dynamic low frequency response.